All VERRADO PARCEL 4.903 homes currently listed for sale in Buckeye as of 04/19/2019 are shown below. You can change the search criteria at any time by pressing the 'Change Search' button below. 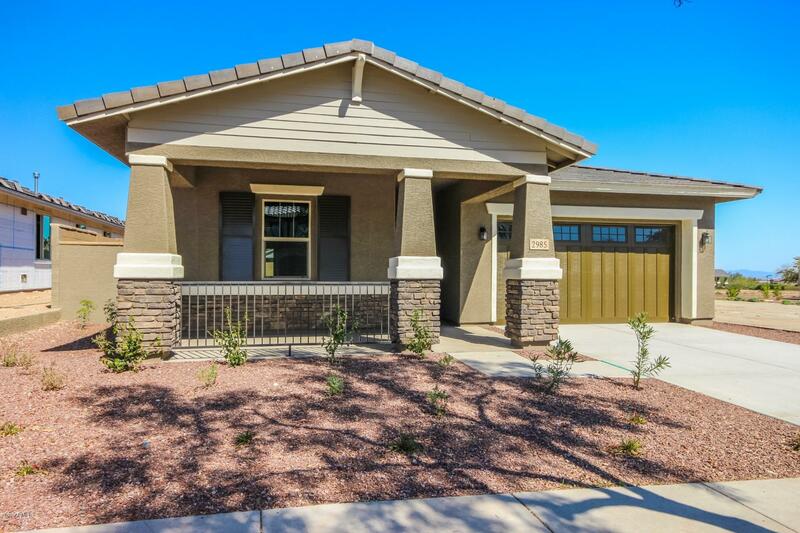 "Located in beautiful Buckeye, Verrado offers a distinctive collection of homes, designer details and incredible include features, such as spacious kitchen islands. You'll find plenty to love about the Raleigh plan, a versatile ranch-style home with a number of personalization options. Located off the entryway, a spacious study can also be optioned as a dining room, an extra bedroom and even a guest suite with a full bath and walk-in closet. The center of the home boasts a large kitchen with a c"